The News of the World/Murdoch saga has captured the imagination of the public in a way that I for one didn’t quite understand intially. Yet as the story unravels I too have found myself fascinated. This is because it is, in many ways, the story that people have been waiting for. This past year has seen Wikileaks bring groundbreaking news to the public attention. Masses of information, but so massive it was almost impossible to digest it all. The phone hacking scandal on the other hand provides an ideal exempler of what wikileaks has done: to uncover the deeply tied links between the elites that govern our society. It has revealed relationships between government, police, media, in a way we all suspected, and for those who have ever read Adorno & Horkheimer had all strongly believed. The phone hacking scandal also, and most crucially, has begun to open the eyes of the (quote/unquote) average citizen by reaching them in a way that the vast US cables uncovered by wikileaks for example, or even the financial crash and recession, could not quite do. Berman famously quotes Marx, further expanding on his ideas as Berman provides a definitive account of the experience of modernity on economic, social, cultural and personal levels. A re-reading of Berman can remind us that those relations we believed to so ‘fixed’ were quickly ‘frozen’ and so can just as swiftly be swept away, as this is the very nature of the modern era in which we live. Now we find ourselves in a moment in which all that is solid (Murdoch’s empire/emblem of capitalist greed) is steadily crumbling away, we are facing the uncomfortable task of dealing with the ‘real’ conditions of our lives. The ruptures and speed of recent events removes the various technical certainties that otherwise structure decision-making processes and provide orientation for elites. When these are removed, the reality that there is a public at large looms over politics, but so does its incapacity to speak or act (not least due to Britain’s under-democratised society). A manageable level of cynicism about the media actually serves the capitalist realist media system well. Since the media stands in for the public sphere, if journalists and politicians are perceived to be “all liars”, as they widely are, then there is no hope to be had in public life at all. If we agree the media stands in for the lack of a tangible public sphere in modern Britain, and that media is being dismantled before our eyes, we can begin to understand the cause behind our uncomfortable fascination with the phone hacking scandal. Our collective public voice has merged into the opinion of the media we consume and now without the guidance of Murdoch to make our minds up for us, what opinion will we choose? While something is indeed is emerging, something too is being lost. I would suggest that this newly active ‘public’ is both real and imaginary at the same time, in that imagined entities (such as nations) become decisive at times of crisis.Equally, right now, we are seeing the same political elites, economic interests, political parties and media outlets taking key decisions, but invoking some mystical notion of ‘the public’. To witness that this ‘public’ is partly imagined is not, necessarily, to dismiss it as fake, merely that is hasn’t been assembled either. The student protests collected together a marginal group of people which ultimately were deemed as not sharing ‘public opinion’. 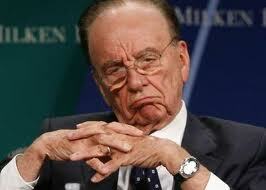 With the phone hacking scandal, the lines of wronged and right are made far clearer. As potlatch notes the notion of ‘the public’ and its interests is being invoked in the face of the loss of the public sphere via the disenchantment of the media that K-Punk identified. This notion of the public is being invoked on ‘our’ behalf, it is up to us to assemble ourselves appropriately. Modernity by its very nature is paradoxical, the sense of perpetual disintegration propels us toward the desire to rid ourselves of the ambiguity we feel and the struggles we face, and yet this surge toward development only creates a new stability which eventually will reach its own demise. Crises can easily become opportunities for the renewal of power or strengthening of ideology, rather than the possibility of an alternative vision. In spite of all, thrown together by the same forces that pull us apart, dimly aware of all we might be together, ready to stretch ourselves to grasp new human possibilities, to develop identities and mutual bonds that can help us hold together as the fierce modern air blows hot and cold through us all. In this world, stability can only mean entropy, slow death, while our sense of progress and growth is our way of knowing for sure that we are alive. To say that our society is falling apart is only to say that it is alive and well. As Assange said on Saturday- and as Dan Hind also argues in The Return of the Public – the function of corporate media has been to isolate people, to make them distrust their discontent with a world controlled by business interests. What has combated this is the production of new collectivities of dissent, both online and in the streets. What we’re seeing in this extraordinary moment of transition is a reality management system imploding from within at the same time as it is being undermined from outside. And, this is only the beginning – you haven’t seen anything yet. Grave danger is everywhere, and may strike at any moment, but not even the deepest wounds can stop the flow and overflow of its energy. It is ironic and contradictory, polyphonic and dialectical, denouncing modern life in the name of values that modernity itself has created, hoping – often against hope – that the modernities of tomorrow and the day after tomorrow will heal the wounds that wreck the modern men and women of today. As Berman so eloquently outlines, only when embracing and accepting the reality of the dangers of ambiguity can there be real hope of transformation. This is not a comfortable process, but as Berman and Marx can teach us, stability is an illusion of capitalism. A very clever illusion that has kept people satiated with their flat screen TVs, humungous Tescos, and News of the World tabloids. The cracks have appeared in this happy delusion, but will it be the catalyst for an unstoppable force, or will the ruptures be sewed back together with rhetoric and empty apologies, with a bit happiness-ideology or similar to ease the transit? What modernity do we want tomorrow? I think it is time we sat down and started to draw up a diagram of what that looked like before this fleeting moment melts away from us, as swiftly as it materialized.